Not every family has the means to purchase a new prom dress for their prom go-er. Every girl should feel like a princess on her perfect prom day! That is why we donate dresses to Operation Glass Slipper. Operation Glass Slipper is a MN based non-profit group who wants nothing more than to make sure all girls are able to go to prom. Since 2006 they have been helping girls who otherwise might not be able to, get into a beautiful prom dress. They do this free of charge. 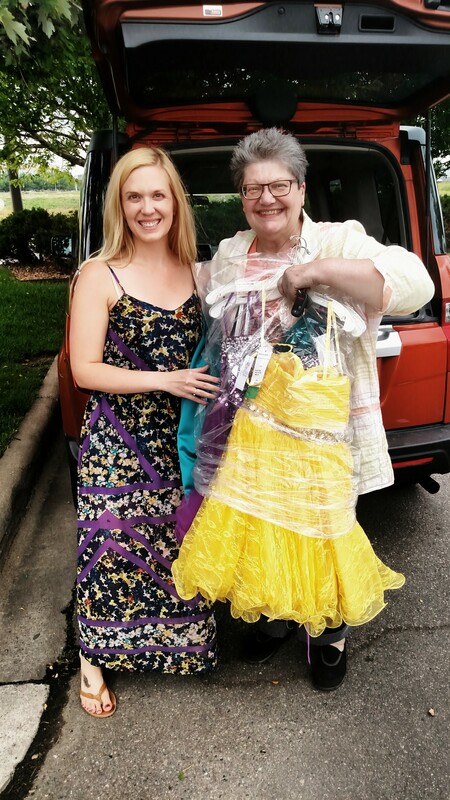 This past month, we were able to donate 40 dresses to their cause. Girls in MN and WI will be able to select their perfect prom gown. Know someone who could benefit from Operation Glass Slipper? This entry was posted in DIY, Events, Gown Shopping, motivation and tagged affairs, best ever by Affairs by Brittany. Bookmark the permalink.